Performing tonight alongside some extraordinary musicians for Igudesman & Joo’s NYE show at the Vienna Konzerthaus. 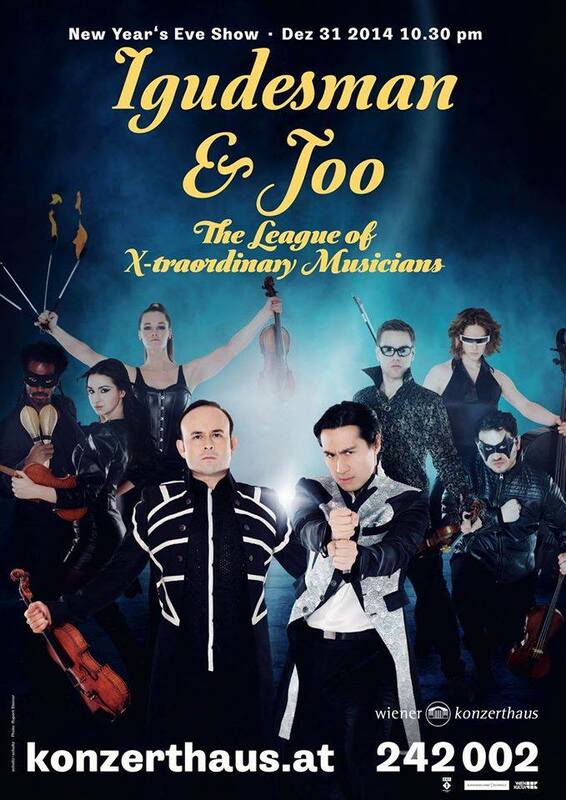 I will be performing excerpts from my ‘PyroViolinist’ fireshow as well as some acrobatics and other violin madness. Should be a fun night! I have been told this is the first time in the 101 year history of the Konzerthaus that there has been a fire performance of this kind so I am very honoured. Huge thanks to the management of the Konzerthaus, Igudesman & Joo and the production team for allowing this to happen. I have to say that fire performance cannot be done alone. So a special thanks to my duo partner Lisa Chou for being such an amazing fire assistant.